The 163 Syrian refugees who left Beirut today on a Toronto-bound Canadian Forces Airbus tell CBC's Susan Ormiston they are excited to take the "big step" to come to Canada, but are also nervous about their journey. A group of 163 Syrian refugees who left Beirut today on a Toronto-bound Canadian Forces Airbus say they are excited to take the "big step" in coming to Canada, but are also nervous about their journey. The plane carrying the refugees departed Lebanon's Beirut-Rafic Hariri International Airport. It will land in Cologne, Germany, for a refuelling stop and crew change before carrying on to Canada. The refugees are expected to arrive in Toronto on Thursday evening. 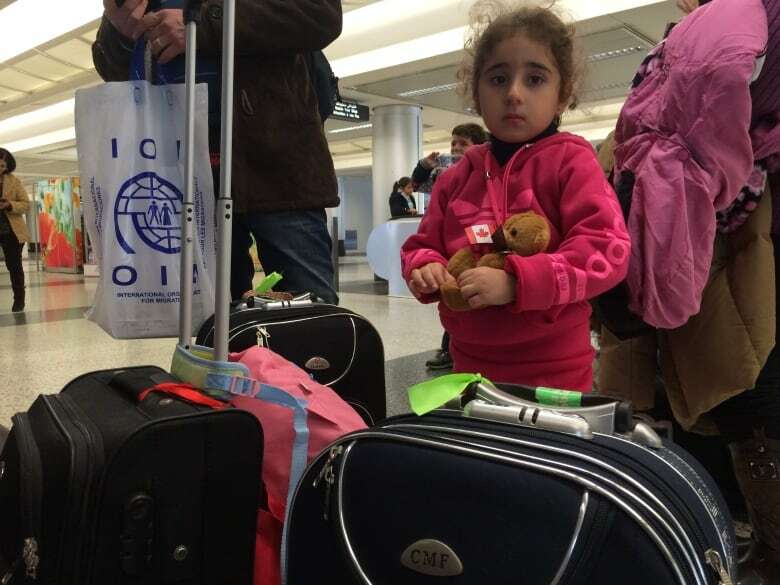 Prior to their departure, they were bused to Beirut's airport and met by staff from the International Organization for Migration who are co-ordinating the movement of refugees bound for Canada. Canada's ambassador to Lebanon, Michelle Cameron, was also at the airport to meet them. As they waited at Gate 6 of the international departures terminal, most expressed happiness, but also some jitters about what lies ahead. The children clutched small teddy bears carrying little Canadian flags given to them upon arrival. Many of the adults took selfies. "It's a big step," one woman told me. Some said they only found out three days ago they were cleared to come to Canada. The Airbus is the first Canadian-sponsored plane to transport Syrian refugees to Canada under the Liberal government's expedited plan to bring in 25,000 refugees by the end of February. Cameron confirmed to CBC News that most of those boarding are privately sponsored, but she did not give specific numbers. She added that the Lebanese government was co-operative in arranging exit visas. and asking the passengers to show what they were taking on the planes. After more than a month of assembling a large roster of refugees for resettlement in Canada, there are still few departures from the region. Another planeload is expected to leave Lebanon on Saturday heading for Montreal, but no other flights are scheduled for next week. Canadian Immigration Minister John McCallum said Wednesday that visa officers had been able to secure Lebanese exit visas for two planeloads of refugees, but didn't offer up any idea of how many more will soon depart. Canada has set up refugee-processing centres in both Beirut and Amman, Jordan. Officials in Amman admit that moving large numbers of refugees quickly through medical and security checks has proven a challenge. In addition to the 163 coming Thursday, 416 Syrian refugees have arrived in Canada since Nov. 4 in small groups on commercial aircraft. CBC News reported on one group of 32 that departed from Beirut on Nov. 29. At a news conference Wednesday in Ottawa, McCallum had said all flights to Canada will come from Jordan — not Lebanon. "The people who are currently in Lebanon will move the short distance to Amman, Jordan. And all of the refugees from both Jordan and Lebanon will fly from Amman, Jordan, to either Toronto or Montreal," he said. There was no explanation about why the first flight instead departed from Beirut. Because the 163 who left Thursday are privately sponsored refugees, private groups will support them upon arrival in Canada. The government will pay for their transport to Canada, initial medical costs and arrival expenses. The Liberal government's initial promise was for 25,000 government-sponsored refugees, but it has since said the group will be a mix of private- and government-sponsored people. Upon arrival in Toronto and Montreal, border services officers "will confirm their identity using the documentation the refugees received following their immigration processing overseas." "All refugees will also be checked for signs of illness when they arrive in Canada, per the Quarantine Act, and treatment will be available if anyone is ill upon arrival." Refugees who are being resettled elsewhere in Canada will depart Friday. An earlier version of this story said Hilary Childs-Adams is the Canadian ambassador to Lebanon. 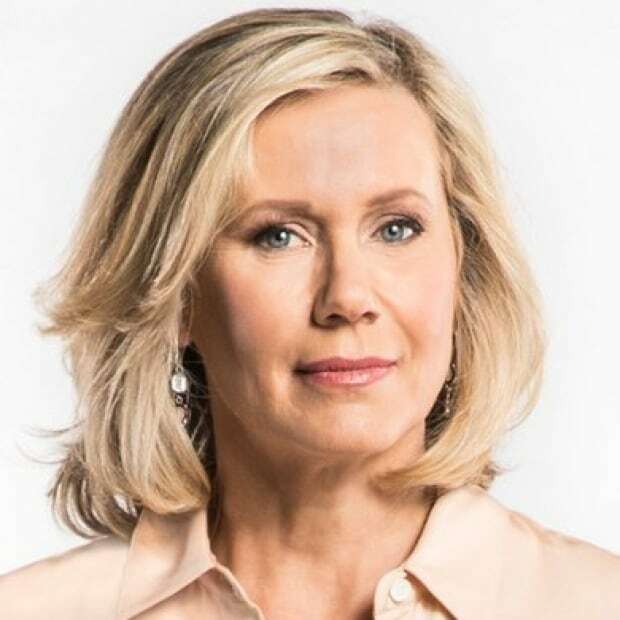 In fact, Michelle Cameron succeeded Childs-Adams in the position last year. 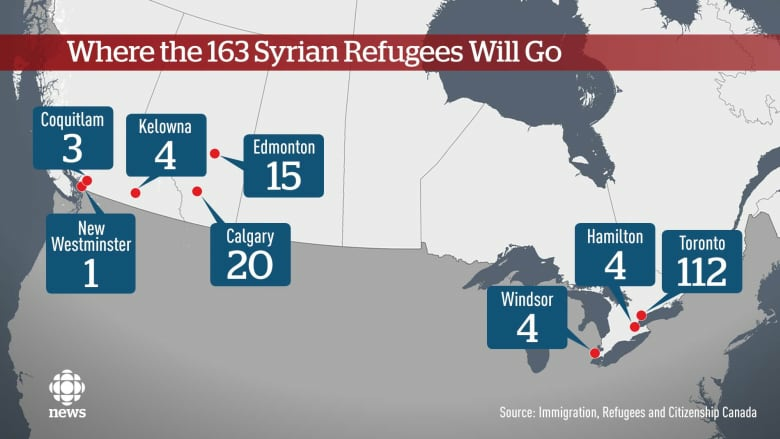 Is Canadians' support for taking in Syrian refugees increasing? Why are Syrian refugees hesitant to resettle in Canada?